On June 16th 2012 FromeFM started broadcasting on the frequency 96.6FM locally. That means most people in Frome and the surrounding area can get coverage on normal radios, in cars and in local shops. The antenna for FromeFM is located on the top of the Memorial Theatre and the signal is beamed over microwave dishes to the theatre from our studio at Frome Town Hall. You can listen to FromeFM online by using your web browser to launch our online radio player, and tune in to our programmes as they go out live on air. Listening to the radio on the Internet couldn’t be easier just click on the ‘Listen now’ button in the header of any page. Most modern smartphones also allow you to play FromeFM live and listen to the archive of past shows via the browser. This is confirmed to work on Apple and Android devices but user experience may vary so you might find it more convenient to download the TuneIn app to listen wherever you have a 3G or WiFi signal. 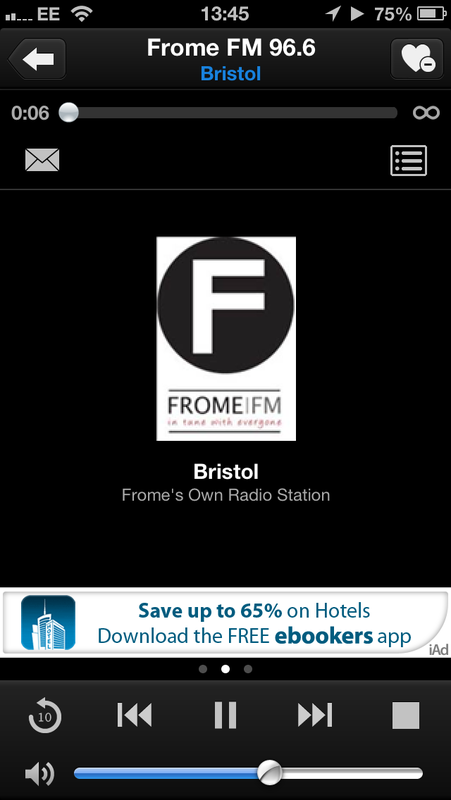 To download the free app for iPhone, iPod or iPad simply click on the App Store button above and follow the prompts, then sync to your device to enjoy FromeFM on the go. Alternatively, you can download it directly on your device by going to the App Store icon, and typing ‘TuneIn’ into the search box. Once you have installed the app it will place an icon on your home screen. To listen, just launch the app from the icon on your iPhone or iPad. If your device supports background playing, pressing the home button will allow you to launch other apps and keep the radio playing. To turn FromeFM off just return to the app and tap the square ‘stop’ button on the bottom right. TuneIn is available on Google Play if you have an Android phone or tablet and also the Amazon App Store if you have a Kindle Fire. The BlackBerry World store also has a version of TuneIn for BB10 compatible devices and it is also on the Windows Phone app store for WP7 and upwards. If you have an older feature phone which still has a data service you may be able to listen using the internet radio application installed by the manufacturer. If so please try adding the following address to access FromeFM http://frome.fm/listennow/fromefm-32k.pls. Your phone may point to an internet radio directory service. FromeFM is already listed with the main manufacturers but if you know of others, let us know and we’ll register. If you are struggling to access FromeFM on any device please contact us and let us know your handset model or what you are trying to listen on and we’ll see if we can help.. 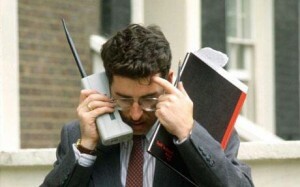 Using your phone to listen to the radio uses data capacity, at roughly 27MB an hour (60kbit/s). If you exceed your data allowance, your operator may charge you for each extra MB you use. Take particular note if you are a Pay As You Go customer. You can use your own WiFi (or other unlimited WiFi services) for as long as you like – this does not affect your mobile phone data allowance. You should not use these applications on mobile networks whilst roaming abroad, as data allowances do not always apply whilst roaming and data charges can be high. If you have a poor 3G signal (2 or less bars), or only EDGE (shown with an E) or GPRS (sometimes shown as a G, or two arrows), the streaming may not work correctly. Some smart speakers such as SONOS and Bose SoundTouch can also access the TuneIn app to play FromeFM and you can also use Alexa and Google Home speakers to hear us too. Alexa, play FromeFM on TuneIn.